Effective 01/01/2019, TSAOG Orthopaedics is BACK IN NETWORK with Blue Cross and Blue Shield of Texas! When sports injuries happen, TSAOG’s sports medicine specialists routinely get the call to weigh in on the type of injury, how it is fixed, and what it could mean to the athlete in terms of rehab and recovery. With the Spurs reporting that Tony Parker has suffered a ruptured left quadriceps tendon, everyone wants to know what to expect and we actually had a few of our specialists interviewed yesterday by local media. Dr. Josh Bell had an in depth discussion with ESPN San Antonio radio and also spoke with the Express-News to give a doctor’s view of the injury. Dr. Lane Naugher spoke with 1200 WOAI Radio and said that, “This is a very bad injury” and that he expected it would be “at least six months before he is back to any type of basketball activities, maybe even nine months to a year before he would be cleared to play at any kind of elite level, like the NBA.” Read the full interview with Dr. Naugher here. Please note: Our physicians are speaking only to the general nature of Tony Parker’s reported injury, not to his specific case. TSAOG is very happy to announce that all 5 of our eligible physicians have been named to San Antonio Scene‘s list of 2017 Rising Star Doctors! This issue is on newsstands now and features the best doctors and dentists under the age of 36 practicing in San Antonio, TX – as nominated by their peers. Naumit “Neel” S. Bhandari, M.D. Congratulations to our 2017 Rising Star Doctors! 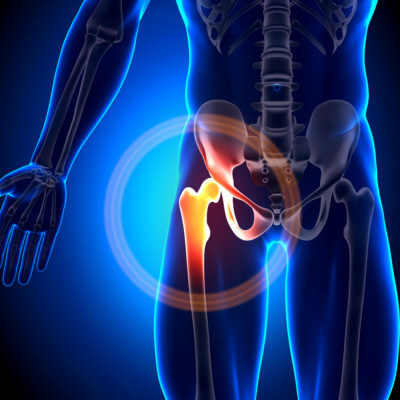 The San Antonio Orthopaedic Group (TSAOG) is currently seeking participants for the MONOVISC Hip Osteoarthritis Study. For more information, please contact Maria Lopez, Study Coordinator, at (210) 804-5901. 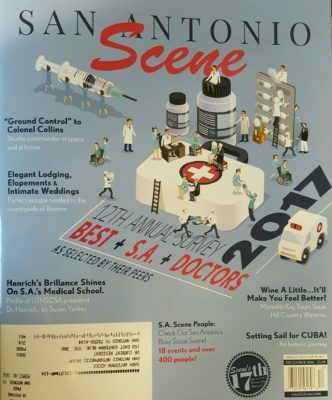 TSAOG is so pleased to announce that 28 of our physicians have been named to San Antonio Scene‘s list of S.A. Doctors: Best of 2017! This issue is on newsstands now and features the best doctors and dentists in San Antonio, TX – as nominated by their peers. Congratulations to our S.A. Doctors: Best of 2017! TSAOG is very pleased to welcome Dr. G. Lane Naugher to our practice! His first day is today – Friday, September 9th. 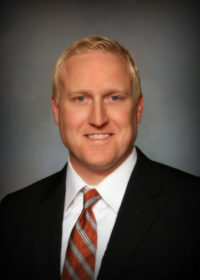 Dr. Naugher is an orthopedic surgeon specializing in sports medicine. He completed his fellowship training at Wake Forest Medical Center in Winston Salem, NC. He will be treating all orthopedic conditions, with the exception of the back and neck, for patients aged 3 years and up and will hold clinic at the following TSAOG locations: The Orthopaedic Institute, Schertz, New Braunfels, Westover Hills, and Mission Trail. To schedule an appointment with Dr. Naugher, please call 210.281.9595 or request an appointment online. To learn more about Dr. Naugher’s background and training, please visit his webpage. Recruiting specialty trained orthopedic surgeons is one more way TSAOG makes your health our mission.